At London Art Portfolio, we are happy to work with individual education agents or specialist agencies, and we ensure you are consulted and kept informed at all times. 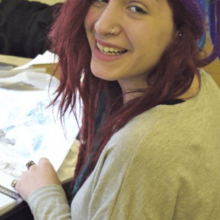 We can help students wanting to specialise in art, design or architecture to achieve the right grades, to secure places at the best and most suitable colleges or universities, to prepare them for future careers, and to generally reach their potential. The LAP short courses are perfect for beginner, intermediate and advanced level students. You can benefit from our excellent knowledge of art, design and architecture courses at all all leading art colleges such as UAL, UCA, Goldsmiths, Glasgow, Slade and RCA, as well as the Russell Group, Oxford, Cambridge, Brunel and UCL, and other leading UK universities, to name just a few. 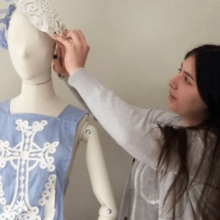 On an international level, we have an extensive understanding of what’s required for art and design based degrees at leading universities and colleges overseas. These include Milan, Paris and NYC Parsons School of Design, the University of Antwerp, Copenhagen Academy of Fashion Design and ESMOD Berlin and Paris, Otis College of Art and Design in LA and many others. We can also advise on the best courses for the individual taking into consideration Degree course structure and content. In this way students at LAP are able to make informed judgements and choices, which gives a positive start to their art and design career. 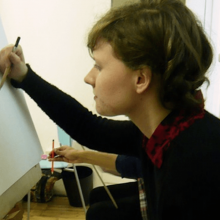 London Art Portfolio tutors offer a rich knowledge and understanding of the UK, EU and International Art Education Systems. The Director Julia Dennis has an MA in International Education Development from Sussex University in addition to her Fine Art MA and Design Degree qualifications. She has also studied Anthropology at London School of Economics. A prospective art student needs both an extensive, high quality physical portfolio and a strong digital portfolio too. Compiling these to their best effect takes specialist knowledge – we are always happy to advise both students and education agents. London Art Portfolio offers the opportunity to explore innovative ideas and concepts, develop studio skills associated with becoming an artist or designer, alongside an insight into the historical, critical and contextual foundations of the subject. Our many portfolio preparation courses and one-one tutorial programmes are designed to give students optimal portfolios for the degree or other course level, which they are targeting. Many students (and their agents) come to us to help them maximise their art and design grades in subjects such as Art, Graphic Design, Textiles and Fashion Design, Photography, and Product Design whilst still at school for GCSE, AS and A2 level, or the International Baccalaureate. Some students may not be planning to focus on art for their degree or career, but are looking for an extra A level, or simply a more rounded education. This support could occur be via one of our summer courses, with one-on-one tuition, or summer school (including under 18 courses). 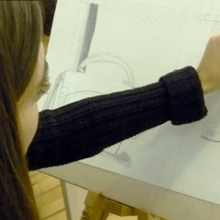 At London Art Portfolio we understand not just what universities and art colleges require, but how art and design is taught at school level in other countries. To get into their chosen university, a student may need not just good exam results, but a broader RANGE OF skills. This can include the ability to think creatively and critically, independently and as part of a group, and also to be able to collaborate well with others. We understand the strengths and weaknesses of different education systems, and can ensure that students are fully equipped with the all-round skills they need to get into their chosen university or college, and for their future career. By studying with us, students whose first language isn’t English will also significantly improve their English language skills. And, of course, by being in London, they are in one of the world’s great cultural centres, with world-class museums and galleries on their doorstep. We advise students on the best places to go and when, and can also organise guided visits. As well as working closely with education agents, we are also happy to act as agents ourselves for students in the latter part of their school career, and in undergraduate and graduate education. For students with particular aptitude for art or design, our specialist knowledge and experience can make a big difference to their education and future career prospects. Many education agents and parents have found that what we can offer makes all the difference.